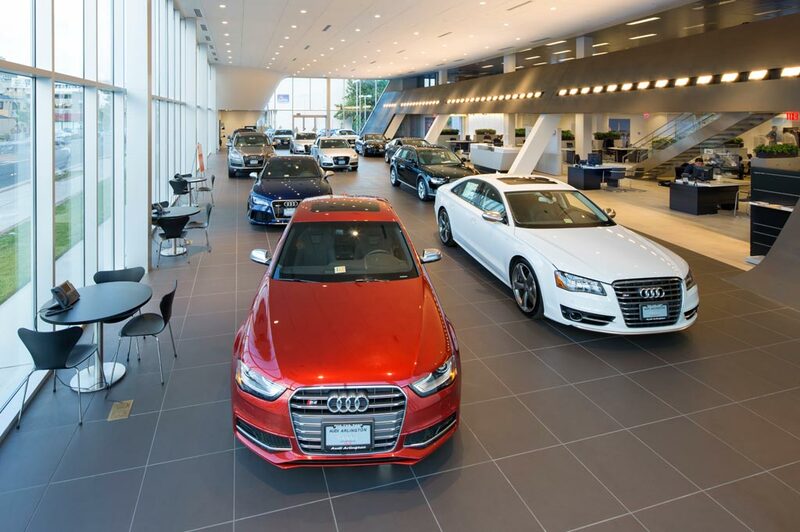 What can you expect when you enter the Audi Tri-Cities showroom? Well, aside from a warm welcome, a great selection of new and used cars to choose from, as well as onsite Audi repair, a vast collection of Audi parts and a financing team that understands the needs of drivers like you. If that sounds goodto you, come see us today in Richland, Washington. A big bonus to the new Audi lineup is options. Models like the new 2018 Audi A3, A4, A6, Q3, Q5, Q7 and the all new 2018 A5 or S5 Sportbackeach feature unique features that truly set them apart from the bunch. Yet they all find common ground with their well-crafted, high-qualitydesign. Satisfy it with a test drive of a new AudiA3, A4, A5, A6, Q3, Q5, Q7 or other Audi model that piques your interest, here at Audi Tri-Cities in Richland. Of course, we may be known throughout Richland, Kennewick and Pasco for our fantastic selection of new Audi models, but we've also garnered quite a reputation for offering high-quality used cars as well. Each one we carry has been carefully selected and tested to not only meet your undoubtedly high standards for quality, but to exceed them as well. Bring those dreams of a new2018 Audi A3, A6, Q5, Q7 or A4 in your garage to a reality withthe help of our flexible auto financing opportunities. At our dealership in Richland, our team of experts is ready to dish all you need to know about our available car loan and lease options. Stop by today to find the car that's right for you for a price that's right too. Love our customer-first approach and unpretentious expertise? You're not alone. But don't worry. Your relationship with Audi Tri-Cities doesn't have to end after you've taken offin a new or used Audi. We remain committed to making sure your driving experience is satisfactory for many miles to come. That's why you can find all of the Audi parts you might need right here. If not, we can order them for you. Not only that, but to ensure your vehicle is in tip-top shape, our team of car service experts is here to provide all necessary repairs and routine maintenance. Curious to learn more? Feel free to stopin to Audi Tri-Cities in Richland, WA where we are always eager to assist you. We can discuss vehicles here in our showroom, over the phone, or through our website. Getting to know all of you in the greater Richland, Kennewick and Pasco areas is always an enjoyable experience for us, so stop in during our scheduled business hours, where we can continue the conversation, and answer any questions you might have.